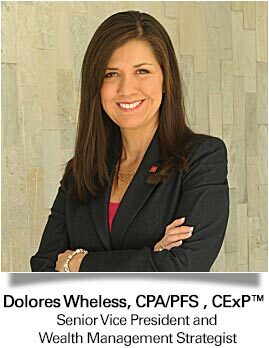 Senior Vice President and Wealth Management Strategist, Dolores Wheless, CPA/PFS has earned the designation of a BEI Certified Exit Planner (CExP™) — the standard for Exit Planning certification. Wheless has more than 22 years of experience in the financial services arena and is also a member of The BEI Network of Exit Planning Professionals™. Wheless’ areas of expertise includes personal financial planning, exit planning for business owners, wealth transfer planning and tax consulting to help families achieve their goals and dreams. A curriculum of training, rigorous testing and in-depth Exit Plan Creation coursework has enhanced Wheless’ expertise in comprehensive, professionally executed Exit Planning solutions for the benefit of the business-owning community. “Exit planning professionals who successfully complete the BEI Certified Exit Planner program have come to be known as premier exit planning professionals because their in-depth knowledge and demonstrated application of the BEI Seven Step Exit Planning Process™ perfectly positions them to counsel business owners and their advisors on a wide array of business issues. Program solutions range from building value within a business to identifying exit objectives, addressing key employee incentive planning and retention issues, incorporating business continuity planning, and establishing wealth preservation,” said John Brown, president of Business Enterprise Institute. 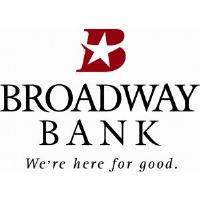 Wheless also serves on the leadership team of Broadway Bank’s Family Business Resource Center (bbfbrc.com), a division of the bank devoted to providing resources to families in business. The resource center provides opportunities where family business members can connect, share ideas, find solutions to common problems and access information on critical issues. Its goal is to provide the information and inspiration family business leaders need to work with each other and their professional advisors in building the most successful family businesses possible. Business Enterprise Institute (BEI) trains and certifies BEI Certified Exit Planners (CExP™) to create comprehensive exit plans that meet the objectives of their business owner clients. Through training, rigorous testing and ongoing continuing education, CExP™ designation holders provide comprehensive, professionally executed exit planning services. BEI requires specific training as a prerequisite to certification to assure that practitioners have the knowledge and understanding necessary to perform competent services, and to assure a level of consistency and continuity in their work product. Users of Exit Planning services benefit by having greater confidence that the service they receive is professional in quality, adheres to industry standards of practice, and meets a level of expertise BEI deems credible and worthy of one of its certified members. For more information, visit www.certifiedexitplanner.com.